PARTNER NEWS: Fast growing mobile payments platform provider Mozido has made a US$2.5m investment in SimplyTapp, bringing the total amount raised in the host card emulation (HCE) specialist’s Series B financing round to US$10.1m. The new funds “will allow SimplyTapp to ramp up R&D by expanding its core engineering team and bolster channel support for global partners”, the startup says. 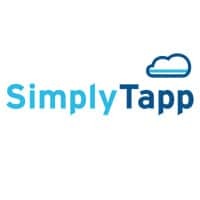 AUSTIN, TX — February 04, 2015 — SimplyTapp, the leading provider of Host Card Emulation (HCE) solutions for cloud-based mobile payments, today announced it has raised an additional $2.5M of their Series B financing round from Mozido, elevating the total amount of funding raised to $10.1M. The new infusion of capital will allow SimplyTapp to ramp up R&D by expanding its core engineering team and bolster channel support for global partners. “It is exciting to have this timely investment from Mozido as it will allow us to focus on executing our key initiatives this year,” said Doug Yeager, Co-founder and CEO of SimplyTapp. “Our platform is being successfully used for a North American card issuing bank and in Chicago for the transit system. Likewise, merchants have the same requirement for an open, customer-focused mobile solution platform and we can fulfill their need today,” Yeager continued. SimplyTapp’s open card issuance platform allows merchants to use Near Field Communication (NFC) for cheaper payments because there are no interchange fees, with the same user experience as the recently launched Apple Pay. Merchants can securely and effectively leverage mobile payments within their customer’s mobile experience, including stored-value and private label cards, with a single tap at existing NFC payment terminals. “We share SimplyTapp’s vision for delivering cloud-based mobile payments and are pleased to provide support for their growth and development,” said Mike Love, Mozido’s Chief Strategy Officer. “2015 will usher in renewed customer adoption for mobile payment solutions and we feel strategic relationships like this can accelerate delivering innovative solutions to our customers worldwide,” added Love. • Here’s why your company should partner with NFC World+.